Digital Forsyth | Joe Watkins and Austin Burke watch the rain which caused the cancellation of the Salem band concert, 1971. 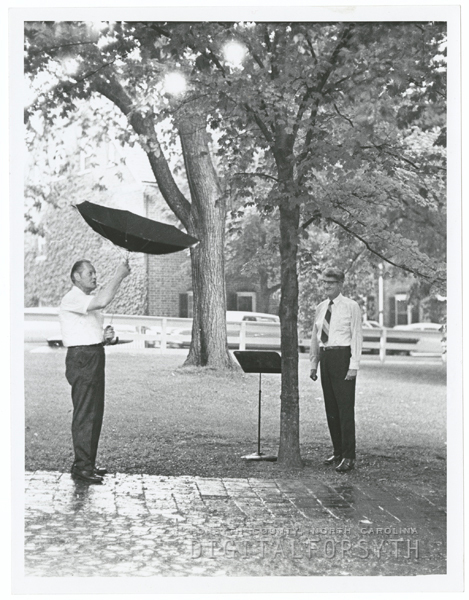 Home › Photos › Joe Watkins and Austin Burke watch the rain which caused the cancellation of the Salem band concert, 1971. Joe Watkins and Austin Burke watch the rain which caused the cancellation of the Salem band concert, 1971. They are standing in Salem Square.